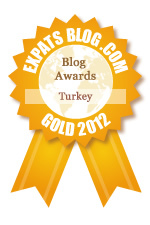 For my 500th blog post, I thought I should write an expat-related article. It’s been about 4 years since we moved from Baltimore to Istanbul and then to Warsaw, where we currently live. The years have flown by, we’ve learned two foreign languages and spent countless of hours in the air and on the road exploring our new land. Overall, I love expat life! Sure, there are challenges, and sometimes I long for the “simpler life” in America where I can ask for things in English and (usually) get exactly what I asked for. As an expat, you roll the dice. Did the doctor understand me? Will I get the dish I think I ordered for dinner? Does that hair stylist know what I mean by a little? Why won’t the taxi driver listen to my directions? 5. 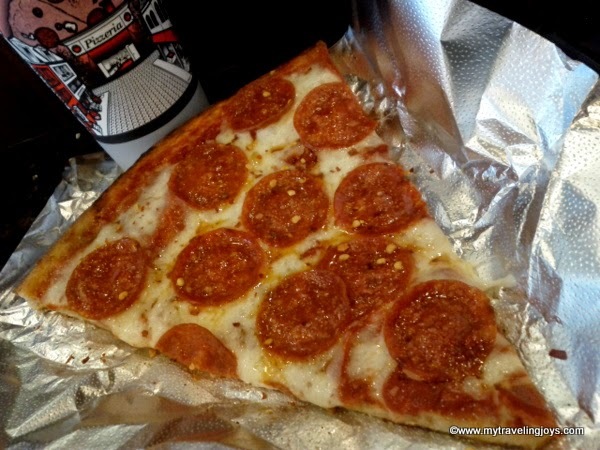 Pizza by the slice – This is definitely the transplanted New Yorker in me coming out, but I do love pizza by the slice. What’s great is that pizza can be eaten on the go and is the perfect answer for late-night drinking munchies. When it’s midnight or 2 a.m., the universal European answer for late-nights is kebabs. While I do love my kebab whether I’m in Istanbul, Warsaw or Zürich, I long for a gooey slice of pepperoni pizza smothered in dried chili flakes. NY pizza is never eaten with a knife and fork. Fold the pizza and eat with your hands! If you don't believe me, watch this hilarious John Stewart clip. 4. Stores like Target or Kohl’s – I have a love-hate relationship with the big box stores in America. On the positive side, I can get everything on my list and things I didn’t know I needed and the prices are much cheaper. But the stores are usually busy, and I just don’t like dealing with it. Still, I miss being able to buy my John Freida shampoo for only $5.99, a cute and cheap sundress and clothes that I know will fit me. 3. Customer service – In America, we have the saying that goes, “The customer is always right.” Well, in most of Europe that I’ve encountered so far, the customer doesn’t really exist. In Istanbul, I had the most dreadful time trying to exchange a shirt for a different size for my husband. The store clerks were most perplexed because the shirt was now on sale, and how could they exchange it. I had to tell them repeatedly in my broken Turkish that I didn’t want para, just a different size. 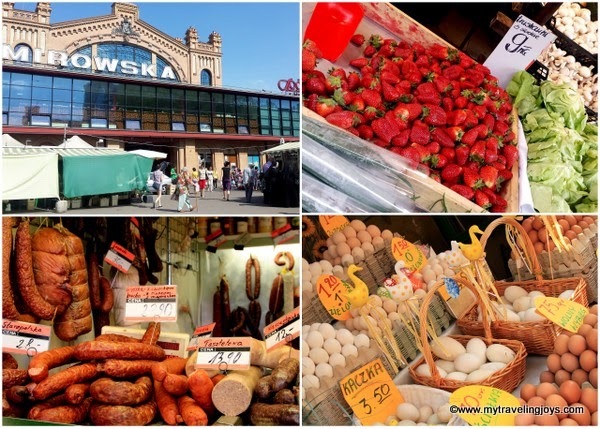 In Warsaw, you can forget about asking any sales clerk for assistance. I passionately detest going to the big grocery stores like Carrefour because if I forget to weigh and price the produce myself, there’s no way the checkout clerk will help you. You simply have to do without those onions or bananas. At my farmer’s market, Hala Mirowska, the stall owners weigh everything for me. Farmer's markets are always a better place to buy fresh produce. 2. Mexican food – Ask nearly any American expat (like Sara in Le Petit Village), and he or she will tell you they miss Mexican food or Tex-Mex food the most. I’ve written about this topic before on the blog. Whenever I’m back in the U.S., I indulge in carnita burritos at Chipotle, never-ending servings of chips and salsa and giant bowls of chicken tortilla soup. 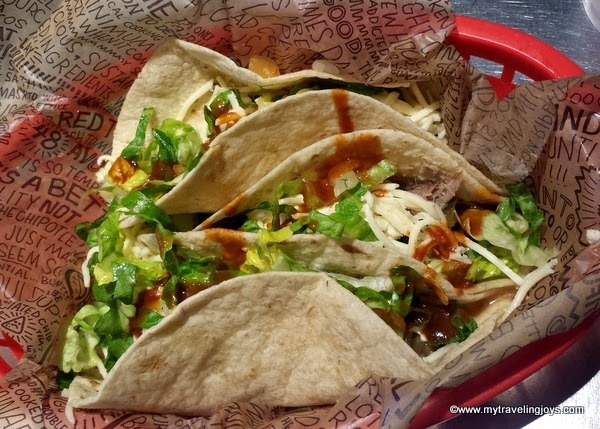 I love my messy pulled pork tacos at Chipotle! In Warsaw, the Mexican food options are improving, but still not the same as in America. I like the pollo mole dish at El Popo, and Blue Cactus serves up decent enchiladas and a variety of salsas. 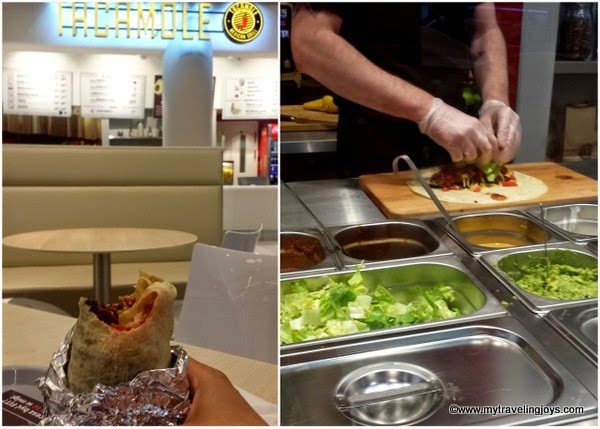 However, the new Tacamole is my favorite find so far (the closest thing to Chipotle) and serves the best burrito I’ve found in Europe! This summer, I’ll definitely be whipping up bowls of my homemade Mexican salsa from my homegrown tomatoes and cilantro. 1. And the Number One thing I miss is Ice! Yes, ice! Ice is so simple to make, but is nearly impossible to get abroad. My Australian friends here tell me that Americans are obsessed with ice. This may be true! Very rarely will you get served ice in a glass if you order a coke or even a water. You’ll be lucky if that drink is even somewhat cold. When you go to the movies, you can either buy a tepid can of coke or a fountain drink – WITHOUT ice! 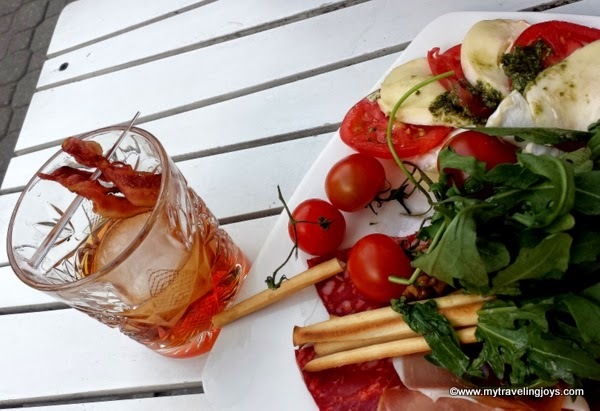 But you can get bacon and bourbon cocktails at Leniviec in Warsaw with a giant ice cube! A Polish friend here nearly freaked out when we were going to serve his child a cold glass of apple juice. ‘No, the drink can’t be cold, or my son will get sick,’ he told us. What? I’ve heard this comment from more than one Pole as well as Turks. Even when I order a glass of white wine or rosé, I usually have to ask for a cup of ice so I “properly” cool down my wine. I dream about the perfectly crushed ice served in soft drinks and limeades at Sonic in the U.S.! I just may have to buy a crushed ice maker on our next U.S. trip. I dream of crushed ice like this! Photo Source. So there you have the few things I miss from America. If you currently live abroad or have lived abroad, what things do you or did you miss most from home? I guess the tourist element to Fethiye means we never need struggle for ice - or Efes in frozen glasses for that matter. :) Warsaw looks like a fun city to live in from your posts I've seen. I'm with you on the ice. 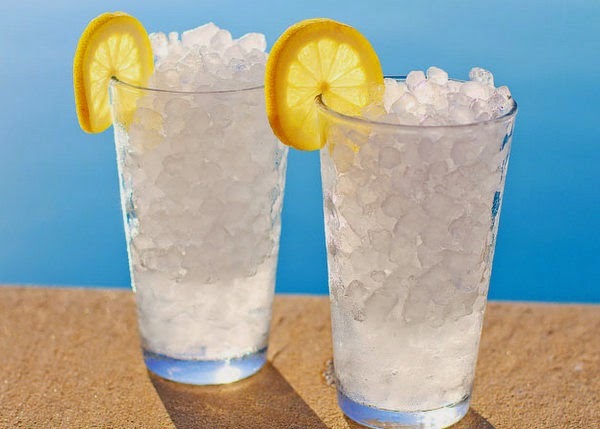 Some things just taste better with ice, like tonic water! @Julia, Warsaw is fun, but I think it helps that we are flexible people too. ;-) there's one cocktail bar that serves amazing crushed ice. I should ask for a bag of it next time! I have been living in Tokyo for 9 months. Honestly, I haven’t fallen in love with the country, as I had been expecting prior coming to Japan. Generally speaking, I’m not eager to go back to Italy in September. But I do miss the food. Cheese makes the top of my list. I miss Parmigiano, Mozzarella, Emmentaler and Gouda, which used to be staples in my diet. Secondly, I miss ordinary-sized fruit and vegetables. Here in Japan everything is small and cute and costs a fortune. For a pragmatic person like me, cute is just pointless, all I care about is taste. And here in Japan everything is perfect in appearance but with little or no flavour at all. God, how I miss Italian tomatoes. The third thing I really miss is Italian bread, ciabatta, focaccia or whole-grain. Fourth and last, I would kill for a slice of Parma ham or cold cuts in general. P.S. You can NOT put ice in wine, Joy. I sooo miss ice, especially on some of the warmer days we've had lately! i had not thought about the ice issue in years but it did drive me crazy. each time i got a drink without ice, i felt like it wasn't finished being prepared. that clip is priceless! i had not seen it before! i remember when you missed pork but now you live in pork heaven! Being from the south, I missed Pecans and brown sugar! While I love walnuts, pistachios, and hazelnuts, sometimes you just want to bake a yummy pecan pie! @Joyce, As expats, we love watching John Stewart even more! :-) Yes, I certainly did miss pork, but not anymore. Just ice! Nice list, but let's not forget (a) chicago style pizza (the real pizza), (b) American footbal (the real football) including sunday morning pre kick off shows and lastly (c) the grill. Living in an apartment, its prohibited. ... ah how I miss the rib eye steaks! Just had a HUGE Target splurge on my trip to the US ... and Mexican food of courses. Gah miss miss! Ohh my goodness!! So spot on! I just moved to Warsaw from nyc and I already miss all of these things. Very great read. I am also very excited to try this Mexican restaurant. Thanks for sharing! @Chad, Witamy to Warsaw! There's a lot of good things here to enjoy so hopefully you'll like your move here. The Mexican places are still the ones that we frequent. We recently went back to Blue Cactus and I ordered some very delicious pork carnitas tacos, but the Spanish rice was lacking in flavor. Still not bad! Nitpick: I think the "lack" of customer service is a cultural thing. I see no reason for establishments and their employees to bend over for the customer and pamper him/her with smiles, chitchat, and "Have a nice day". There are customers who act like spoiled, entitled brats and whine when they don't get their way. if I forget to weigh and price the produce myself, there’s no way the checkout clerk will help you. You simply have to do without those onions or bananas. I honestly don't see how it's the clerk's fault that you forgot to weigh the groceries. In such a situation, I would just heed the clerk's words and do it myself. It irks me to be interrupted by employees when I'm doing my shopping (if I really needed help, well, I could just step up and ask). All I want is for employees to do their jobs right. And given that, as I said, this is a cultural thing, I, as an American, am counting down the days (years?) until I'm able to travel abroad and move to a country with more honest, straightforward people who don't sugar-coat things. To make a long story short, sometimes you just gotta grow a thick skin and man up. My two cents.